Working alongside our clients we are very much focused on their conversions rates via delivering more traffic to see improvements in sales; finding niche portals to stir up interest in products and services; creating social media campaigns to encourage interaction; inviting people to engage further with the brand with user generated content & reviews; advising clients to use our voucher code module via our CMS to encourage some quick win conversions, or to promote an available discount offer etc etc. 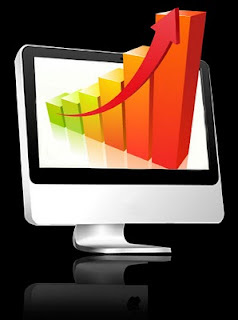 Conversion rates and benchmarks are of course very useful to have and it is vital that you review them, they are not only important for the client to help determine the return on investment (ROI) of their marketing spend but also for ourselves, as an agency to help prove our capabilities in delivering results. Conversion rates are also particularly effective when listed alongside overall business targets. We of course all like to see the figures/conversion rates rise. When they don’t rise in a particular month it could be that a referral site didn’t perform as well as the previous month, or perhaps the PPC budget was reduced, or social networking activity was lowered, or SEO activity needs to be increased. We keep track as much as we can on site changes that may affect our client’s conversion rates, this is dependent on learnt knowledge from the client on their ‘out of agency’ marketing activity i.e. : events they are attending, newspaper/magazine adverts, and radio announcements. Having this knowledge then help us to determine where the ‘conversion value’ is derived from. So that we don’t shout, “Hey didn’t we do well”, only to find out they have had a national radio advertisement promoting their site to the whole of the UK !! It is very easy to focus on these ‘marketing outposts’ and point the finger of ‘that performed well’ or ‘give blame’ to an outpost when performance reduces. Every now and then, if not every month, or week (if you have the budget and desire) it is important that we step back from these conversion rates and start to look at the site as a whole. * Remember some customers may arrive at your site, simply to window shop, to compare prices, to show their friend some interesting content. They have no reason to buy, book or order from you, they are there to browse, dream, who knows. I know I certainly browse a lot and yet have no intention to buy. * Others may of heard about your site, thought to pop by to check you out, they may be job hunting, visiting to seek out inspiration on an article they are writing, or they may be looking for assistance with an order, trying to find your email, or possibly looking to unsubscribe from your emails. It would be interesting to find out the main reason why people are visiting your site, asking them a little question “Why are you here today?” then segmenting the reasons people visit, maybe with a site redesign to capture those markets. I believe B&Q did this at one point with a new landing page for a limited period asking ‘are you here to browse or buy?’ (I of course clicked browse). The landing page wasn’t intrusive and I quite liked the fact that they were placing me into a category, I actually thought it was going to change my website experience, it didn’t and I soon forgot about the landing page as I moved around the site. In designing a new site it would be very positive to review the pages people visit. In Google Analytics you can action this in the ‘Top Content Report’; reviewing whether they are visiting the Help pages, the Articles, the Latest News, the Products/Services etc. If you then determine that the majority of visitors to your site are there to view your products/services and are not converting, then it will become clear that there is possibly more you can do, to convince them to buy/order/book from you. The number of areas you can report on with web analytics are/is vast, you can delve in as deep as your budget and/or time will allow. I have always stuck to the 80/20 rule, 80% analysis and 20% reporting which I obtained from a Web Analytic Guru at some stage of my career. A big tip: If you focus your analysis alongside your overall company objectives then the data will be more meaningful to you, you will then ask more questions of your data and want to understand more. If an increase in sales is a target, then you may wish to review whether ‘offer banner 1’ performed better than ‘offer banner 2’ or whether the E-newsletter brought in the right type of converting customers. If it is an objective to increase the number of new visitors to your site, then you may wish to report on how many people completed the ‘Recommend to a friend online sheet’, did you give an incentive and did this work??. Alternatively, or additionally, if you are keen to see if your Search Engine Optimisation (SEO) strategy is performing, then you could start by reviewing the number of ‘keywords’ people are using to access your site, is this increasing on the long-tail (as in long key-phrases). Did the changes in creating unique and compelling content effect the overall conversion rate? Oh, arrived back at conversion rates again, it is very easy to do. This blog post has mainly been to promote that you should be ‘aware’ not just to ‘point the finger’ at your goal/conversion rate or the funnel, but to look at the bigger picture and note that not everyone is visiting you to convert anyway. I imagine the Apple UK site had a large conversion rate when the iPad was launched in the UK, this was created by viral spread of the news; consider, could you follow suit and create a ‘viral’ to encourage the right customer to visit your site and convert?? If you are feeling that your conversion rates are rather static at the moment and believe your site needs a review, revamp or possible boost, then talk to Rocktime Sales and together we can discuss how we can help. Give them a call or drop them a message over at our contact form. Hope this has been useful. We are soon to embark the above activity on our site, so if you see a little message saying “Why are you here today?” you know the reason, we are simply trying to understand our audience better. Game, Set and Match Isner! !